Home Depot’s (NYSE: HD) fourth-quarter earnings and sales topped Wall Street’s expectations. 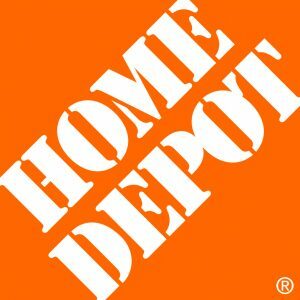 Home Depot reported net income for the fourth quarter of fiscal 2017 of $1.8 billion, or $1.52 a share, compared with $1.7 billion, or $1.44 per share, a year ago. Excluding one-time items, the retailer earned $1.69 a share, beating analysts’ average estimate of $1.61 per share. Revenue climbed 7.5 percent from a year ago to $23.9 billion, which beat an average estimate of $23.7 billion. The increase was due to more shoppers flocking to its stores and ringing up bigger tickets. Same-store sales were up 7.5 percent, beating analysts’ 6.5 percent prediction, according to Consensus Metrix. The company said that customer transactions increased 2 percent, while the average ticket rose by 5.5 percent. Nearly a decade of rising U.S. property values has encouraged homeowners to buy new homes or remodel their existing ones, greatly benefiting Home Depot. According to data released by the Commerce Department last week, U.S. housing starts jumped 9.7 percent in January, to their highest level since October 2016. Hurricane recovery efforts also boosted Home Depot’s revenues. Home Depot expects its sales will rise by about 6.5 percent in fiscal 2018 and same-store sales will be up 5 percent. In December, Home Depot announced its long-term goals of increasing annual sales to as much as $120 billion by 2020. The company recorded $100.9 billion in sales last year. The company has raised its quarterly dividend by 15.7 percent to $1.03 a share. This is the ninth-consecutive year of dividend increases for the company. Home Depot’s shares have risen about 32 percent in the past 12 months.